EMC – The black Art, but it doesn’t have to be! 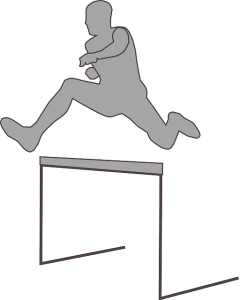 Here at Gainspeed we get a lot of new customers with little experience in EMC testing and occasionally they fall at the first hurdle, when it comes to testing their products. After speaking with us and answering a few basic questions about the EUT (Equipment Under Test) we will help you identify what standards and tests are applicable to your product. If your product has not been previously assessed for EMC or has been significantly modified since its last assessment, we always recommend a one day (or half a day for simple products) pre-compliance testing. At this stage, we will identify obvious failures and could save you allot of time and money! Assuming all goes well with pre-compliance and if you wish to proceed to Compliance assessment. We can create a test plan for you that will detail which tests are required, including levels and limits. Once the test plan is agreed we can schedule a test date for you or your team to attend the lab and begin the tests. We may not need to repeat tests carried out during the pre-compliance stage if the data can be used for the final report. EMC testing can be destructive and if you have concerns that some of the tests may affect your EUT please contact us beforehand and discuss them with us. Often EMC is an afterthought in the design process and this can make solving problems during testing very time consuming and even costly. As mentioned above, we highly recommend you request some Pre-EMC investigation testing before booking the full tests. Basically, a quick check of radiated emissions, conducted emissions and ESD (Possibly some transients and surges). This can save a lot of time in the long run as making changes half way through the test plan will mean you may need to retest previous measurements. This is common mistake made by clients that can increase overall test times considerably. Consider that any changes of significance made to the EUT to fix EMC problems may need to be retested for other tests to confirm it has no detrimental effects. You also need to consider modes of operation, we can advise you on this, but to test correctly it needs to be operated in the worst case. To identify worst case requires pre-testing, and often still requires tests to be repeated in different operating modes where applicable. To help you pre-assess your EUT, here is a list of related test areas that need to be considered. ESD is a simulation of static electricity from humans and other electrical sources. Its often applied at very high voltage (KV) for very short periods to any surface area of your EUT that can be accessed during normal operation. As a precaution, any static sensitive electronics should be isolated and sufficiently protected by either ESD protective components or by adequate housing. A good guide is to pre-check your EUT for areas that can be susceptible. For example large gaps or vents that have sensitive components close inside. 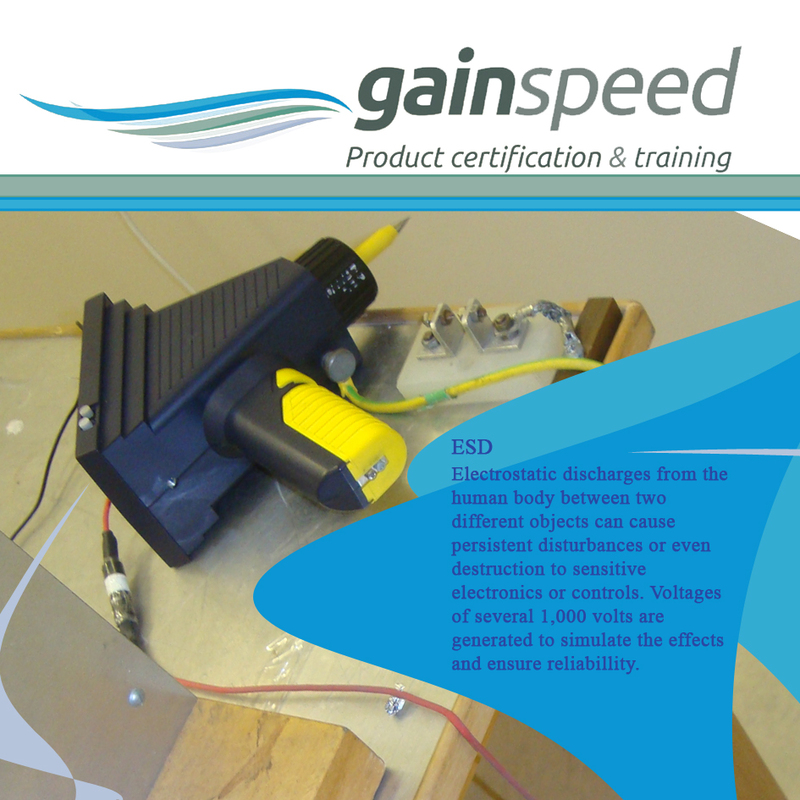 ESD discharges of significant voltage will jump gaps through the air! Also, consider metal areas like connectors, what would happen if a large electrical discharge was applied to them? Do they have internal ESD protection? Is the path of least resistance away from the internal circuitry? Are they isolated or connected to the local earth? Ports like HDMI and USB need protection! The results of ESD will affect communication if not in place! Surges, Transients, Dips and interrupts. These are generally applied to the mains but can be applied to cables contact us for more information on cables. Large voltages and disruptions are applied to the mains to simulate possible variations on the mains system. These include spikes and interrupts in varying levels and periods you should consider how the EUT will be effected by such an event. Here is a list of events you should consider what happens if the power..
• Drops out for a short period? • Spikes extremely high for a short period? • Changes to half or a quarter of the expected voltage? Ideally the EUT should not be effected at all and the EUT power supply will compensate for the change. But this is not the always the case, be prepared for the unit to reset or turn off completely in such an event. Consider the consequences of such an action. • Will it be dangerous for example effecting a critical operation? • Can it corrupt the EUT’s operation? • Could it damage the unit or PSU? The EUT must not affect other equipment around it during operation. For example, if the unit is producing a transmission at a particular frequency this frequency and all its harmonics must not interfere with any other equipment that works at the same frequency. There are some exceptions for fundamental frequencies that are needed to perform the product’s operation but any harmonics or noise generated are not allowed. Often it’s difficult to assess for radiated emissions before testing but some good practice is to check the unit has the following. Often datasheets will give good examples of best practice for laying out a circuit and terminating or reducing EMC interference. Just like emissions the EUT must not be susceptible to interference getting into the EUT. Frequencies of significant levels are applied to the EUT across a wide frequency range to check its performance. You should consider the effects of another frequency at any operational frequencies? • Will it block or disrupt the communication? • Could it change the result and corrupt the communication? Again, it’s often difficult to know for sure, but as above adequate shielding and best practice design should minimise any effects. Before attending the lab to begin EMC testing consider the following. • Bring spare units, EMC testing can and does lead to destruction of equipment! • Tools to service or apply countermeasures! • The unit tested is going to be your Golden Sample. This means that ideally you want to keep this unit unchanged and stored safely, so that you can retest the unit in the future if any problems arise. • The EUT should be the final build (Ideally) any significant changes in the future will require retesting! • Its clear how the unit operates and what modes of operation are to be tested! • Have you considered all the terminations and auxiliary equipment? This is just a guide and hopefully will help you understand what to expect. But it’s not intended to be everything as every case is different. That’s why the Gainspeed staff are here to advise and guide you through every step. Contact us today and good luck!